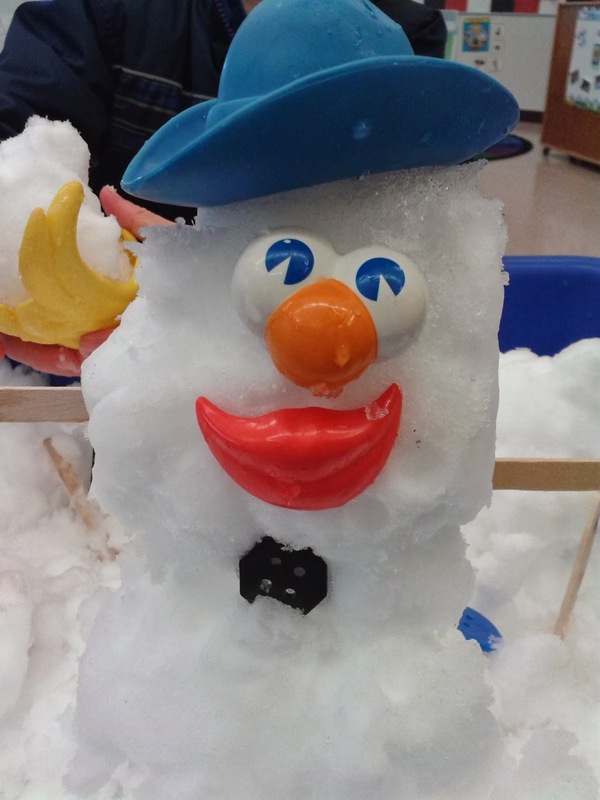 Teach Easy Resources: Snow in the Classroom? What to Do?! Spring break is only 3 weeks away, so wasn't I surprised to wake up and see a world of white outside my window! 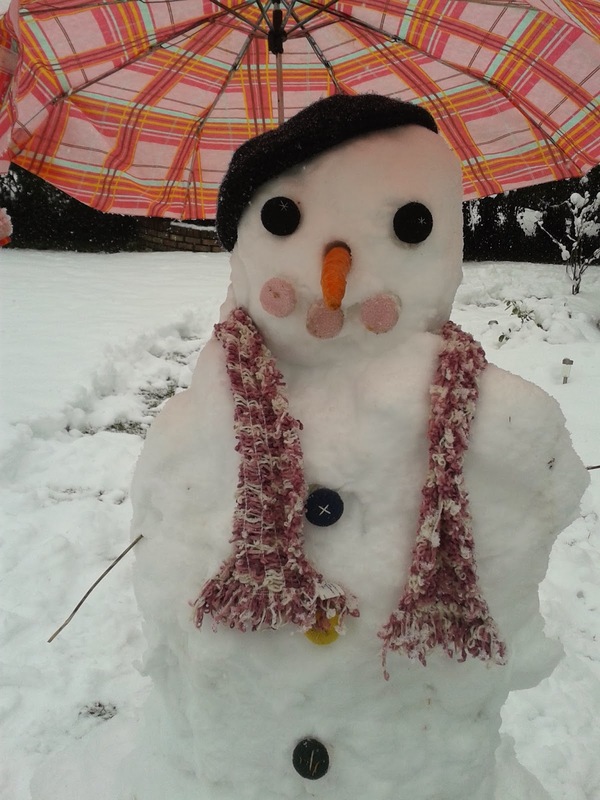 My daughter quickly got busy creating this! Snow usually melts quickly here on the West Coast, so when you finally get some, you have to act fast! 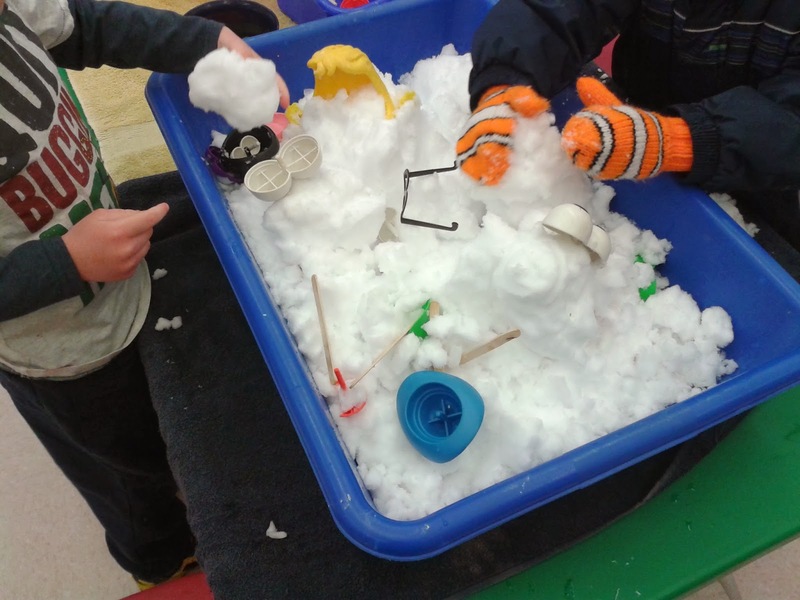 We decided to give students the opportunity to play in the snow right in our classroom, as well. The smart little guy in the photo decided to wear his mittens! Here are a couple of their creations. Our Mr. 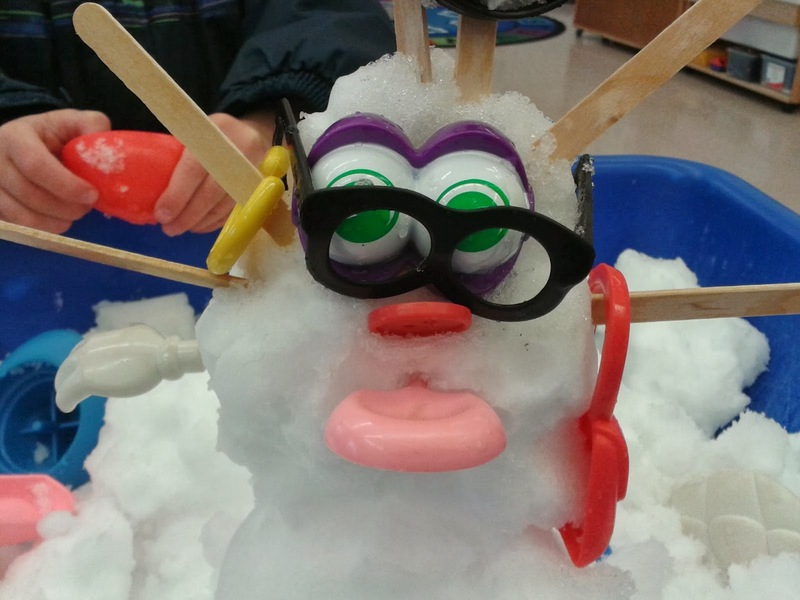 Potato Head pieces came in handy, but if you didn't have those, you could also make snow creatures using buttons, popsicle sticks, and other items from around the classroom. 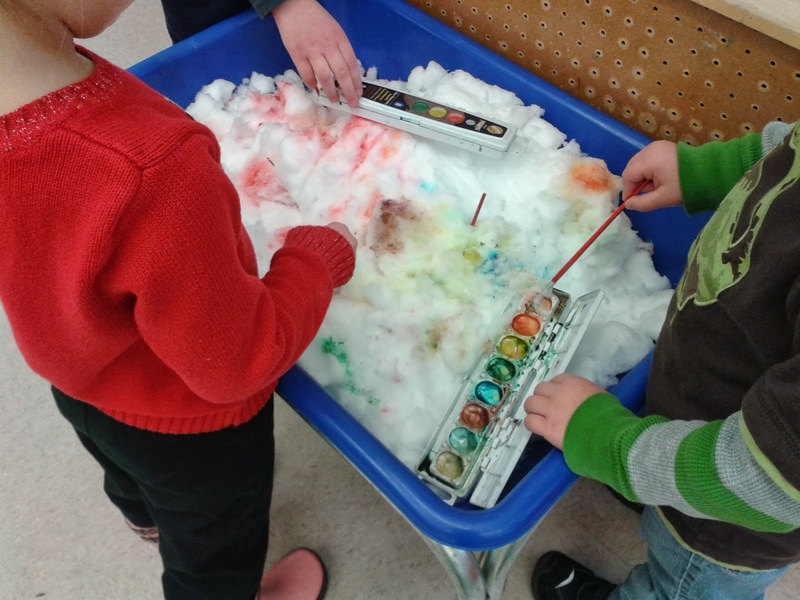 Here we set out a bin of snow with some paint and brushes. And on the next day, we changed things up a bit and created a Sno Cone Shop. 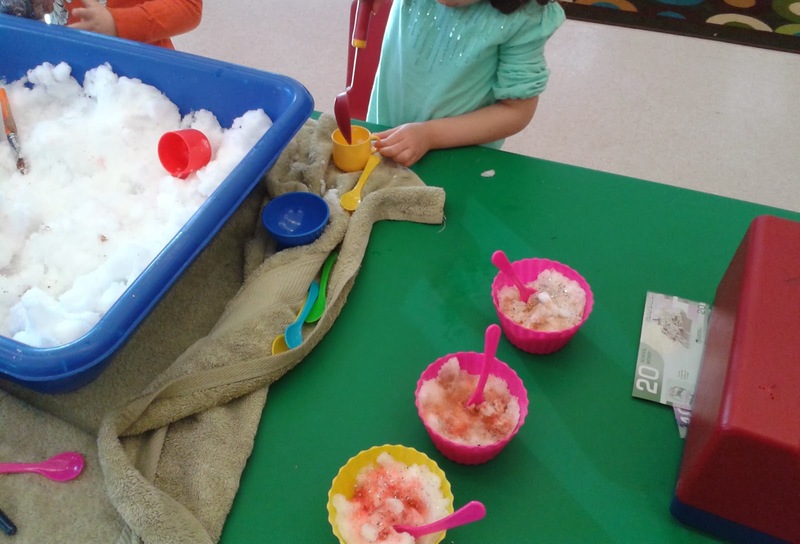 We laid out bowls and spoons, paint and brushes (to create the "flavours" on top of the snow), and sparkles to act as "sprinkles". It was definitely a hit! 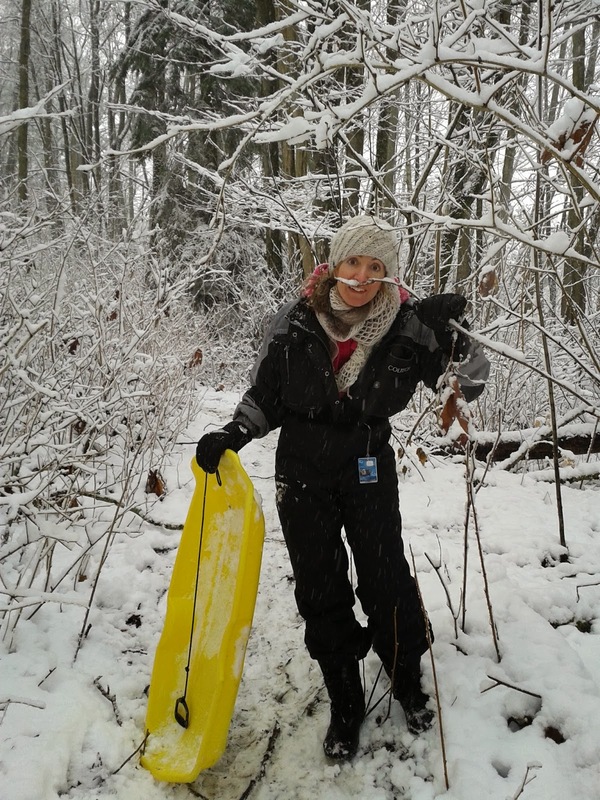 Once school ended, it was a great time to enjoy the snow again outdoors. Sledding anyone?